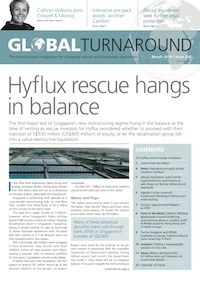 An accessible source of news and analysis on the globalised restructuring industry. For advisors and stakeholders interested in large distressed companies. A unique mix of in-depth analysis, news and interviews, who’s doing the deals. Wholly independent, no advertising, advertorial or sponsorship. Guaranteed unbiased reporting. Subscriptions tailored to you and your firm’s requirements. An unrivalled database of over 2000 articles covering the big stories from the last 19 years. Global Turnaround is without doubt the leading publication in the turnaround and restructuring industry. Global Turnaround is a source that I always refer to when I am considering what is happening in the global restructuring market. Also, good to see what the competition is doing globally too. I have been a fan of Global Turnaround for many years now and it has a strong following within EY generally. The review of key cases is easy to read and the reference to key firms involved is very helpful. It has a good blend of what's going on and industry news. An easily accessible but very informative read. 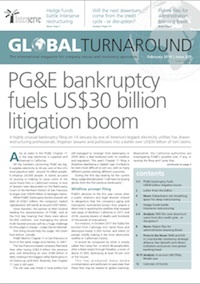 Global Turnaround is the leading monthly international magazine for company rescue and bankruptcy specialists. 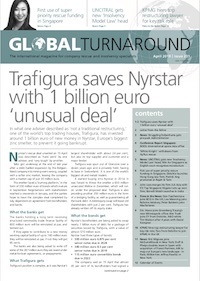 Global Turnaround is an easy-to-read business magazine that keeps a sophisticated readership up to date with who is doing the deals and how they are doing them. Find out what is happening to large, international distressed businesses, whether they are going through operational turnarounds, financial restructurings or insolvencies. The magazine will enable you to keep your finger on the pulse of the latest thinking by financial advisers, lawyers, insolvency practitioners and distressed investors throughout the world. You can write to us. Global Turnaround is a completely independent magazine wholly owned by JFW Media, a company set up in 2000 by the Group Editor, John Willcock. John leads a team of journalists in the UK and US. 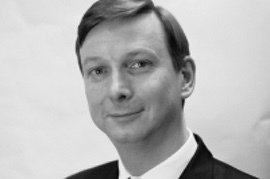 He has over 25 years experience reporting on troubled companies and insolvency, and is in constant contact with senior executives and top movers in leading firms around the world.